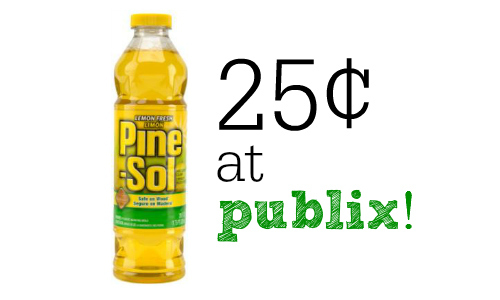 Home > Household Deals > Pine-Sol Coupon | Get a Bottle for 25¢ at Publix! Pine-Sol Coupon | Get a Bottle for 25¢ at Publix! Do your floors need a little love? Print this Pine-Sol coupon and combine that with an Ibotta offer to get a bottle of Pine-Sol for 25¢ at Publix!